This book is about a troubled sixteen year old boy named Jacob who goes to an island because he is drawn to the land of Wales. There, is where he finds out the crumbling abandoned mansion that was once a place of peace for peculiar children. Miss Peregrine sends a couple of kids to get Jacob, and help him explore the odd past of the mansion, and the story of Miss Peregrine's home(mansion) for peculiar children will unwind. . . I recommend this book to those who enjoy looking at pictures, and reading text that makes you think about what you think the word 'peculiar' means. Unique children with different abilities. I have to be honest to you, I have lots of these stacked in my room. All of them have a unique case that is different from the last one. Old books are my fave, and for Nancy Drew, it just kind of stuck. I would say you'd start with the very first book which is The Secret of the Old Clock! I really, really like this series. It is the most fantastic series which goes on for forever, and Nancy Drew herself is an interesting character. She has a different way of thinking, and she is the daughter of the police sheriff, so don't mess with her. . .
Everyone is able to read the book, and those who are willing to try new things and be an exotic reader, I recommend Nancy Drew. I would be awesome if you guys tried this book! This book is about ten teens are invited to Henry Island vacation home for a three-day party. The popular girl in school invites a mix of teenagers to her little party. Little did they know, of the consequences of their past. Meg and her friend Minnie are the main highlights of the story. The very night they are at the house, one of the boys, Ben, almost dies of allergies. Someone sprinkled nuts on his salad, and he was soon suffocating. Meg helps him get back to normal, but little do they know, what comes next. Confusion with a CD, red paint smeared on the wall, one by one, the teens begin to die in a specific, and orderly(With the help of a creepy diary from a dead girl.). . .
Gretchen McNeil's Ten is a gripping tale that is somewhat related to Agatha Christie's And Then There Were None, except teen version. Despite the lack of proper language, this story is sure to keep you at the edge of your seat from chapter one, to the end. Once you find out who the killer is, and his/her purpose, you are sure to unconsciously look at your 6 and 12, after anticipating this terrifying tale. I would personally recommend this book to those who yearn for a great thriller, and those who understand the troubled teenager's problems: boy confusion, who-dates-who, the terrible I-Think-Your-My-Boyfriend-Even-Though-In-Reality-Your-Not, and the typical triangle of love. This book has some bad words just to let you know. Read this if you have a chance, and tell me what you think! This suspenseful book is mainly about ten different people who each gets a letter from the mysterious Rogers, a couple who bought a house on Solider Island. When they arrive, they can't escape. . . It was a fairly pleasant book. The author, Agatha Christie, is known as the Queen of Mystery. 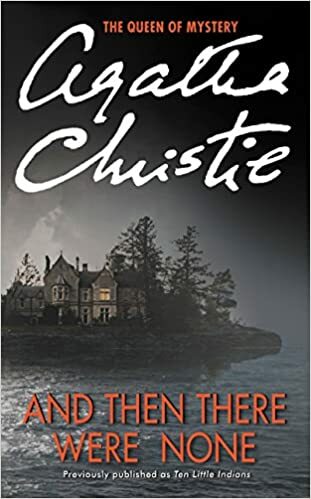 And Then There Were None is a murder and mystery story that grips your fingers on the edge of your seat. And in the end, the murderer reveals himself, explaining why he did what he did. I would highly recommend this book to people who have a passion for mystery, and those who like the feeling of being freaked. With an old nursery rhyme counting down one by one. . . One by one, the guests begin to die. Established in a dystopian society, books are outlawed and "firemen" are used to burn and eliminate these books in fear of knowledge and power among people. However, one fireman named Guy Montag uncovers the secrets of society's past and the origin of these book burnings which causes him to go deeper into the history of his society. As Montag discovers more and more secrets, he finds himself more in danger of losing his family, friendship, and his identity. Fahrenheit 451 is a classic book that I believe everyone should read, because it signifies why reading is so important and it gives us this vision of what the future may be like if technology takes over our society and our world. I would totally recommend this book to middle school and high school students, along with young adults. This book is more geared towards teens and young adults. I feel like they would enjoy it due to the interesting plot. Lifeguard is fantastic mystery novel about a man named Ned Kelly and the woman he falls in love with. Ned Kelly, an average man, finds the girl of his dreams, but there is just one problem; she is rich. So when Ned gets offered $5 million dollars to break into a home, how could he refuse? Everything is going great until Ned realizes he's been setup. People have died, and his world is falling apart. This action packed book is about Ned trying to discover who would have set him up and why. I really liked Lifeguard, because it is an interesting book and the end was a total surprise. This mysterious book will take you on an roller coaster with each passing chapter, and you will never see the end coming! 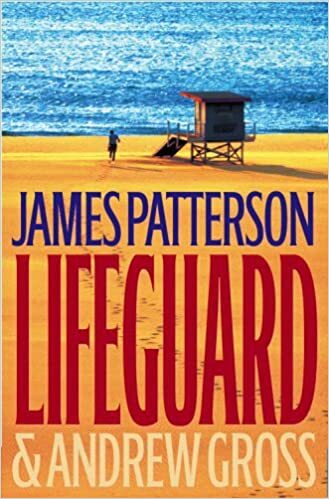 If you like action packed books with a pinch of romance, I would recommend Lifeguard. This book will make your jaw drop, and your mind wonder and wonder. Hiromi, a sixteen-year-old Japanese American girl, lives on a small Japanese island during World War II. Hiromi, not knowing which side of the war to be on, finds a cave that conceals an American and a Japanese soldier who have both fled from the war. Neither able to communicate with one another, Hiromi decides to be their translator while also providing them with food. Hiromi wrote her story in her diary, which is later found in the twenty-first century. Not knowing what happened to the three, one college student travels to the island to answer the mystery of what happened to Hiromi. 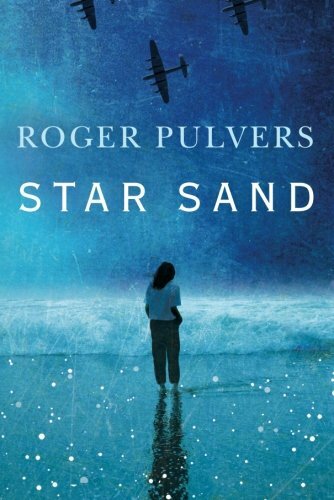 Star Sand is an amazing book that shows humans as kind and loving individuals who look past the race of a person and see the good inside one another. It also has an air of mystery to it. I would strongly recommend this book to those who like to read historical fiction and mysteries. This book will keep you sitting on the end of your seat.